As I’ve said before, big problems need big ideas. I’ve enjoyed meeting partners in the Berea, Covington, and Elizabethtown areas of our beautiful state over the last few weeks during KHC’s Housing Connect, Collaborate, and Innovate Summits. We all gained from taking time away from our regular routines to catch up with one another and talk about what really works in affordable housing. These Summits are thoughtfully designed and purposeful to mix up and connect thought leaders from varied housing and service backgrounds and from across Kentucky and other surrounding states. We’ve had people join us from Illinois, Tennessee, Missouri, Ohio, and Washington, D.C. to share information about barriers, examine resources, and talk about stable, affordable housing that serves our clients holistically. For communities to be successful, affordable housing is not just about putting a roof over someone’s head; rather, it is about providing holistic approaches that are inclusive to education, health, jobs, and transportation opportunities. The success and participation from the first three Summits has been amazing, and we look forward to the next Summit in Hopkinsville on Thursday, October 19, 2017. Because requests to participate have outnumbered available seating at previous venues, a new Summit date has been added in Frankfort, Kentucky on Tuesday, November 14, 2017. If you have not participated in a previous venue and would like to register for this last Summit location, follow this link to KHC’s website, under Conference, Housing CCI Summits. Big housing ideas are generated out of networking, collaboration, and understanding what resources are available and how to access them. One of KHC’s goals through the Summits is connecting people to form new partnerships to discover new resources and either build off of housing models that work or develop new innovative housing solutions. 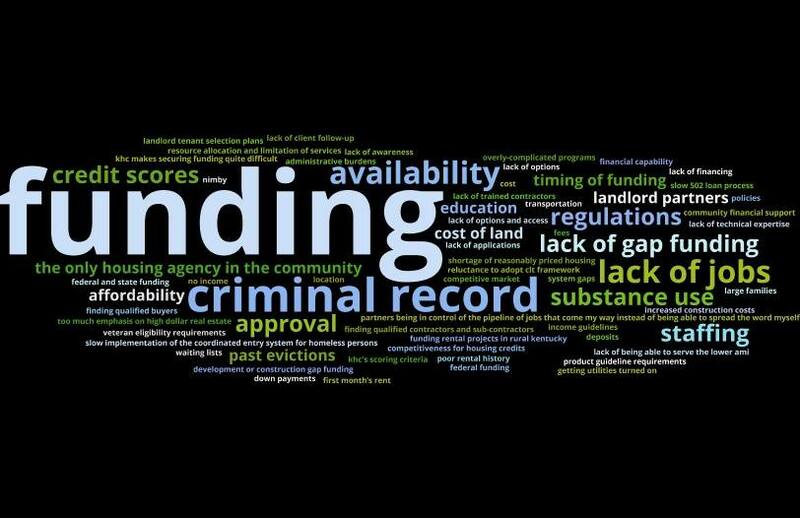 We see this happening at each summit—our partners meeting someone new, learning about a funding source they’ve never heard about, beginning conversations about pairing resources, and talking about ways we can all serve the same clients who have so many differing needs. Big problems need big ideas. Join the conversation and the campaign in KHC’s social media platforms using the hashtag #bighousingideas. Also, join KHC’s private Facebook page, 2017 Housing CCI Summits, to join in the conversation, connect with new partners, and share big housing ideas. If you would like to become part of a focus group to explore ideas and outcomes from the Housing CCI Summits or join the discussion on Strategic Housing as a contributor, let us know. Then, mark your calendar for the 2018 Kentucky Affordable Housing Conference, which will be held on August 21-22, at the Lexington Convention Center. We look forward to reporting out on big housing ideas and next steps during the conference. We serve many of the same clients. We share the same mission to serve those who need our programs and services. Because of the needs, our work has purpose. Let’s work together and collaborate to maximize our resources and provide holistic approaches to help our clients have success. 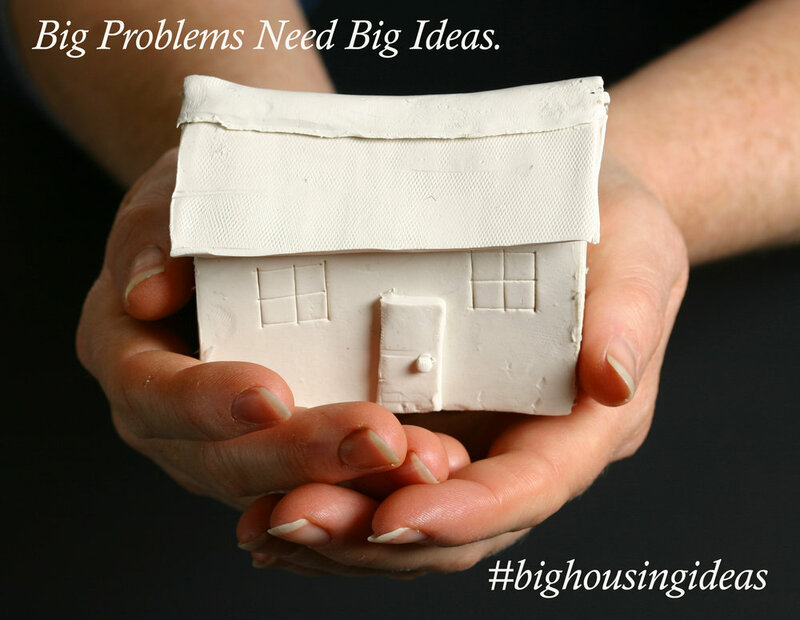 What can you do to be a part of #bighousingideas?